Windows 10 is an operating system with a strong personality. If people use previous Windows OS version, Windows 10 simply invades the screen with a pushy invitation to accept the upgrade. And it does not care if you are in the middle of a presentation for your company’s CEO or in the middle of a live TV broadcast. Everything was going smoothly for News Meteorologist Metinka Slater from KCCI 8. 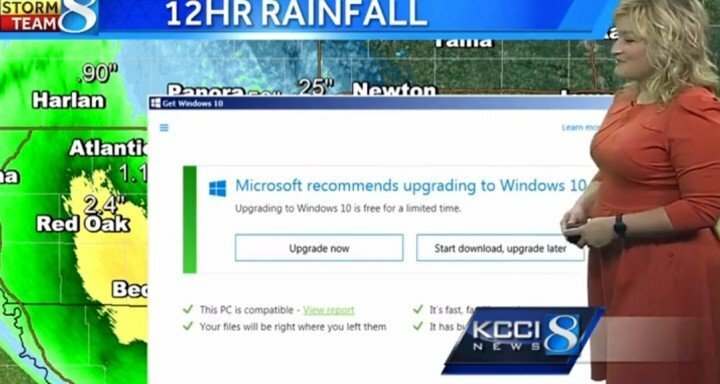 As she was giving warning about the thunderstorm and the 12 hours of heavy rainfall that would come, she was interrupted by a Windows 10 upgrade message. The message covered much of the radar screen. The pushy window has two options: “Upgrade now”, or “Start download, upgrade later”. Slater simply switched to another video source, ignoring the upgrade message. This was not the first incident of this kind. Users have been complaining that Windows 10 auto-installs without explicit permission. On the other hand, Microsoft assured it would never automatically install Windows 10 on users’ PC. 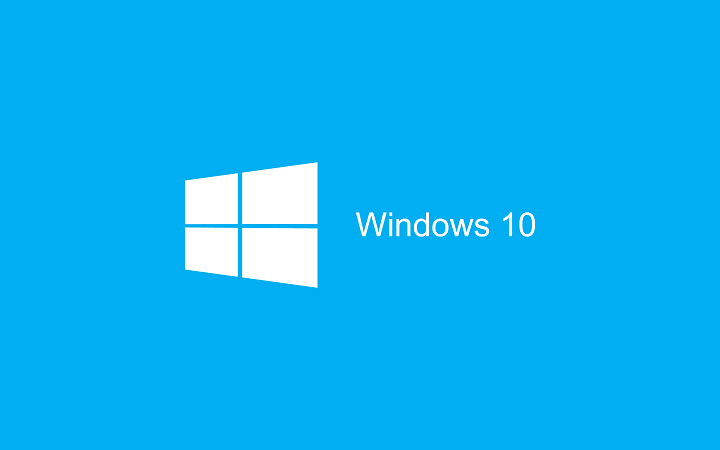 The company stated very clearly that Windows 10 needed explicit user permission to install. Also, if you want to prevent the installation of Windows 10 on your PC without your permission, you can use a specific tool called GWX Control Panel. Windows Update automatically installs files necessary for the Windows 10 Upgrade, and changes certain settings to make the installation happen. This tool actually prevents your settings from being changed, which will keep Windows 10 out of your computer, as long as you run it. Also, users who upgraded to Windows 10 have a 31-day period within which they can roll back to the previous Windows version. However, it is worth mentioning that the option to upgrade to Windows 10 for free is valid till June, 29. So, if you want to see what Microsoft’s latest OS has to offer, upgrade now for free.